Pictured is the future site of the Food Truck Depot at 59 Potter St. in Delaware. 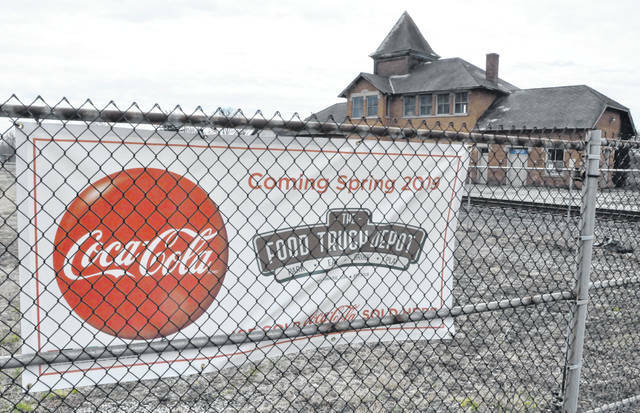 A sign announcing the pending opening of the Food Truck Depot on the east side of Delaware hangs from a fence surrounding the Potter Street location. Delaware residents will soon have a different sort of option for food, drinks and entertainment. On Monday, Delaware City Council approved the final development plan for Food Truck Depot, which will be constructed on the site of the former railroad freight depot at 59 Potter St. 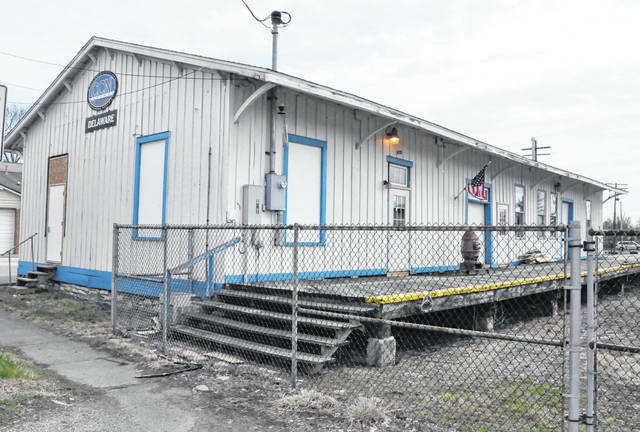 Under the approved final development plan, Paul Rockwell, of The Rockwell Company, is planning to renovate the existing depot building, which spans 2,670 square feet and sits on approximately 1.066 acres, into a bar and restaurant. Outdoors, the plan includes a beer garden, two sand volleyball courts on the west side of the site, and space for multiple food trucks to park and serve patrons. The site will include 28 parking spaces on the southern portion of the property to accommodate visitors. Last month, Rockwell was granted a variance from the Delaware Board of Zoning Appeals to allow for multiple mobile food vendors on site for more than 45 days per year. While the number of food trucks on site will vary throughout the year, it is expected there will always be at least one. The existing 6-foot fence surrounding the site will be kept and painted black. The razor wire on top of the fence will be removed. In order to get the combined preliminary and final development plan approved as quickly as possible, Rockwell also requested a suspension of council’s rule requiring multiple readings on an ordinance before a vote is taken. The suspension was approved with a 6-1 vote, and the final development plan passed with unanimous approval. Councilwoman Lisa Keller voted against suspending the rules, saying she was sensitive to the public’s right to come to council meetings and weigh in on developments. She prefaced that statement, however, by saying she supported the development plan itself and was excited for its addition on Delaware’s east side. Work has already begun on the depot building, and with the final development plan approved, Rockwell will now be able to move forward with complete site renovation. Rockwell said he expects the Food Truck Depot will be ready to open by the beginning of summer.